The exceptional success achieved by the Spanish National Transplant Organization (ONT) in recent years has made other countries highly interested in following this organization’s methodologies. A good training program is one of the key elements of the ONT. Until 2012, the ONT training program was a paper-based case teaching method, and the small number of ONT experts limited the audience. In an attempt to improve and increase the attendees in this program, a game-like simulation was developed to represent transplant management procedural knowledge. To maximize the educational value, this game-like simulation was based on representative teaching cases to help students practice with different real situations and different levels of complexity in a risk-free environment. 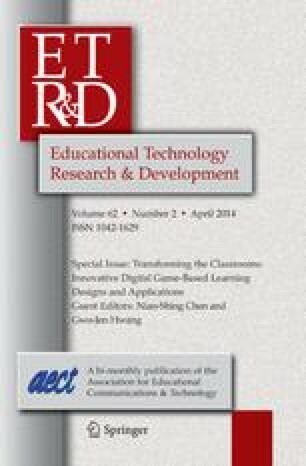 This study presents how an iterative game development methodology has been applied to evolve from a paper-based case teaching method to a game-like simulation, with a special focus on the efforts made to include the ONT experts’ tacit procedural knowledge in the simulation. Apart from increasing the number of students who can access the ONT training, this game-like simulation also helped to achieve a more detailed formalization of transplant management as well as a more comprehensive systematization of a set of relevant teaching cases. We acknowledge the next organizations that have partially supported this work: the Spanish Ministry of Science and Innovation (Grant no. TIN2010-21735-C02-02); the European Commission, through the Lifelong Learning Programme (Projects “SEGAN Network of Excellence in Serious Games”—519332-LLP-1-2011-1-PT-KA3-KA3NW and “CHERMUG”—519023-LLP-1-2011-1-UK-KA3-KA3MP) and the 7th Framework Programme (Project “GALA—Network of Excellence in Serious Games”—FP7-ICT-2009-5-258169) and the Regional Government of Madrid (eMadrid Network—S2009/TIC-1650). Torrente, J., Del Blanco, Á., Marchiori, E. J., Moreno-Ger, P., & Fernández-Manjón, B. (2010). Introducing educational games in the learning process. In IEEE education engineering EDUCON 2010 conference (Vol. 127, pp. 1121–1126). IEEE. doi: 10.1109/EDUCON.2010.5493056.